Vixen’s beauty captures the hearts of men in Painted Skin. A vampire-like woman who devours the hearts of her lovers and wears their skins in order to retain her human form. That is the premise of director Gordon Chan (The Medallion) and action director Stephen Tung’s (Accidental Spy, Hero) supernatural-action-thriller, Painted Skin. Painted Skin is one of the spookiest stories about vixen spirits, ghosts, scholars and Taoist exorcists from a collection of short stories in Strange Tales of Liaozhai by Pu Songling (a renowned Qing Dynasty writer). The story sees Commander Wang Sheng (Chen Kun) leading his troops in a raid on bandits in the desert. 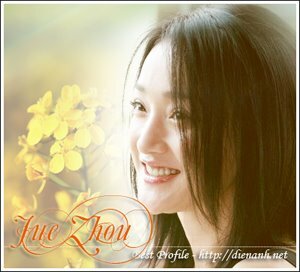 He chances upon the beautiful Xiao Wei (Zhou Xun) and brings her back with them. However, he has no idea that Xiao Wei is, in fact, a fox spirit in human form who needs a regular supply of human hearts to maintain her human form. Meanwhile, Xiao Wei has fallen in love with Wang Sheng and will do anything to take him away from his wife Pei Rong (Zhao Wei). When Pei Rong learns of Xiao Wei’s true form, she secretly seeks help from martial arts expert Pang Rong (Donnie Yen) and demon catcher Xia Bing (Sun Li). Thus, ensues the battle between good and evil as the central characters engage in an emotional turmoil of love, passion, temptation and treachery. Now is your chance to catch Painted Skin for free as RAM Entertainment and PMP Entertainment are giving away tickets. To gain entry, just bring along this article (original copy) and make your way to the cinema foyer at GSC Mid Valley, Kuala Lumpur, tomorrow (Sept 24) to redeem two tickets. The redemption counter is open from 8pm and each person can only redeem two tickets. Please note that the tickets are given out on a first come-first-served basis. The movie opens in Malaysian cinemas on Friday.